Home » About Us » What is the role of a Maths Hub? What is the role of the Maths Hubs? 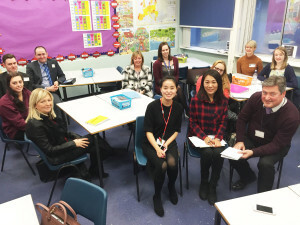 The Maths Hubs programme brings together mathematics education professionals in a collaborative national network of 35 hubs, each locally led by an outstanding school or college. The programme is funded by the Department for Education (DfE) and coordinated by the National Centre for Excellence in the Teaching of Mathematics (NCETM). The work of the hubs supports teachers in the continual process of improving educational standards for students in our region from the youngest child in Early Years Foundation Stage to the oldest students in Post 16. The overarching aim is to update schools with the latest teaching strategies from around the world and to ensure that the UK is able to compete on the global stage. Carmel College, Darlington is proud to be the base for the Archimedes NE Maths Hub which is promoting excellence in maths teaching across the Durham and Tees Valley region. Our focus schools are those in the North East, Durham and the Tees Valley region. At Archimedes we are delighted to work alongside enthusiastic, talented and dedicated teachers in our region and are confident that together we will develop mathematics so every child receives the skills and tools they need.